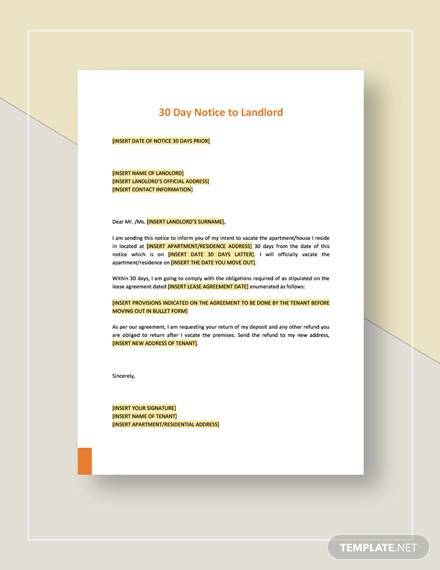 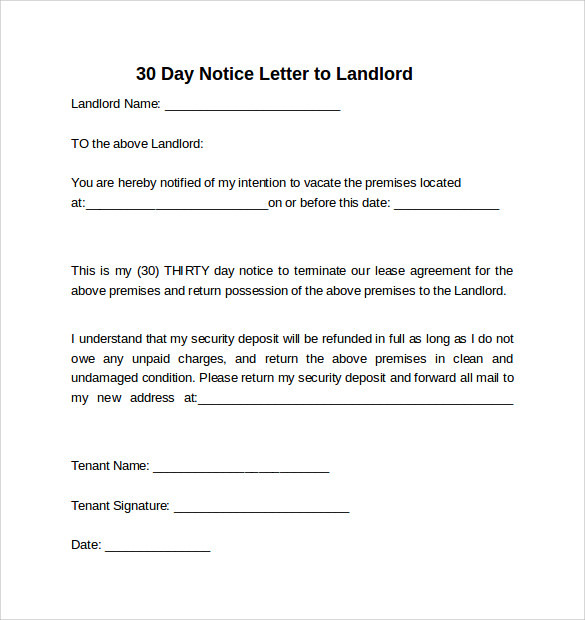 If you are renting a house and intending to move out, you will have to let your landlord know about your plans through a 30 day Notice Letter to landlord. 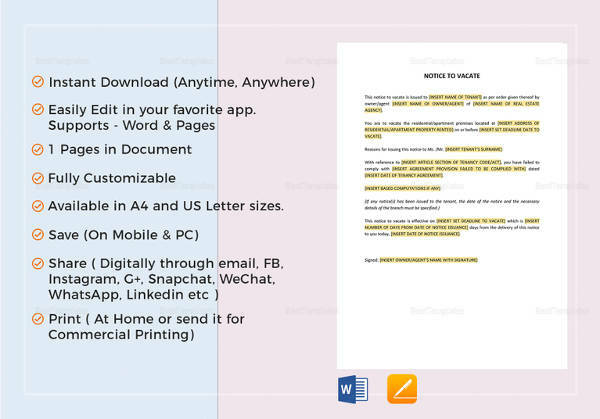 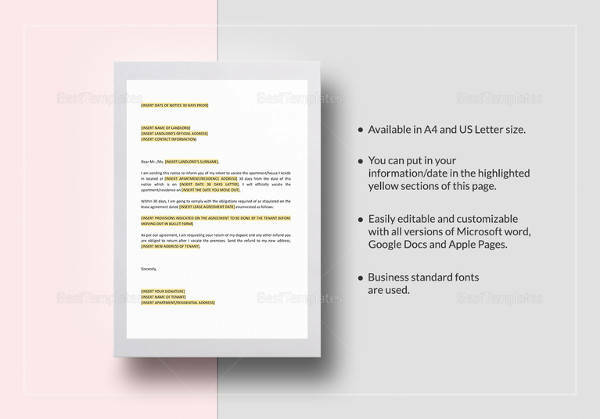 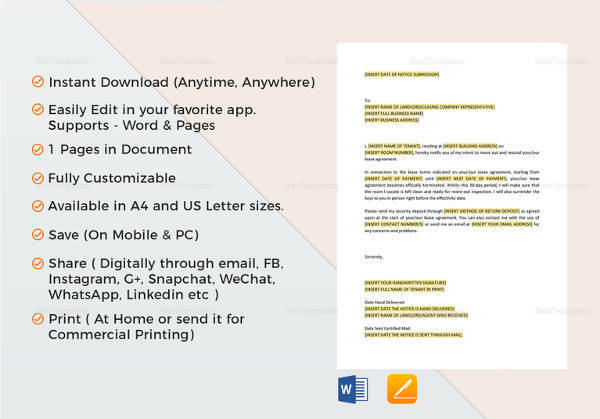 These letter formats are available in word, pdf, and psd and all other supported file formats. 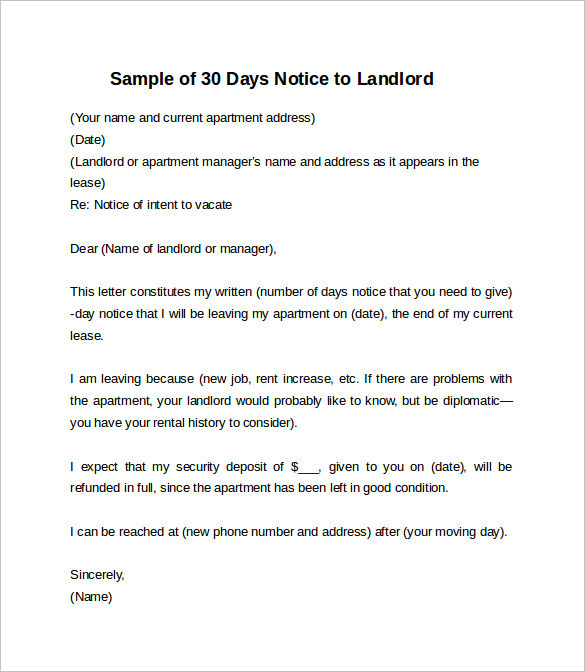 The letter should be precise and informative where you should mention your intention and exact date of leaving the house. 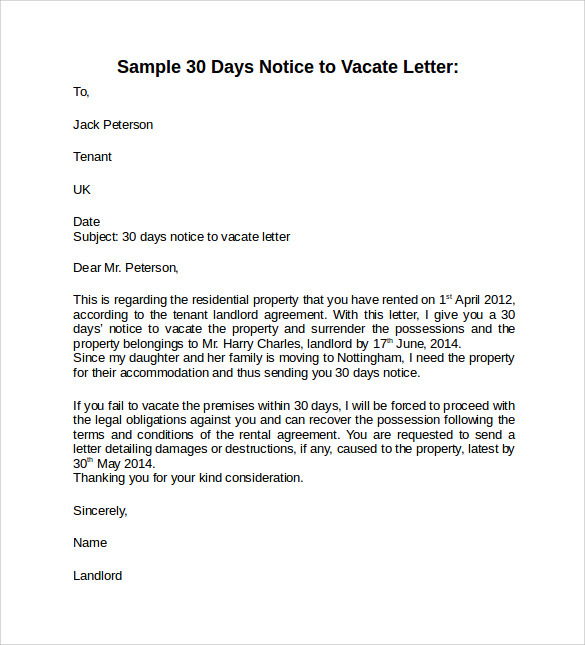 It should also be written gracefully mentioning how cherishing your tenure under his tenancy was. 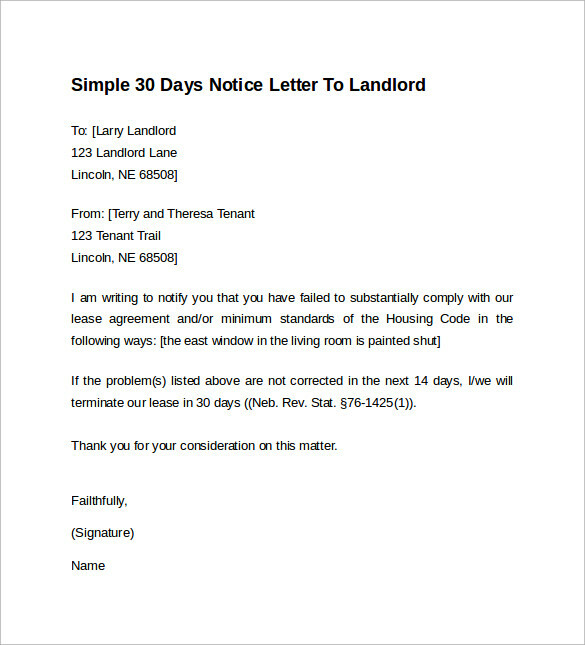 The letter should be written on a white paper. 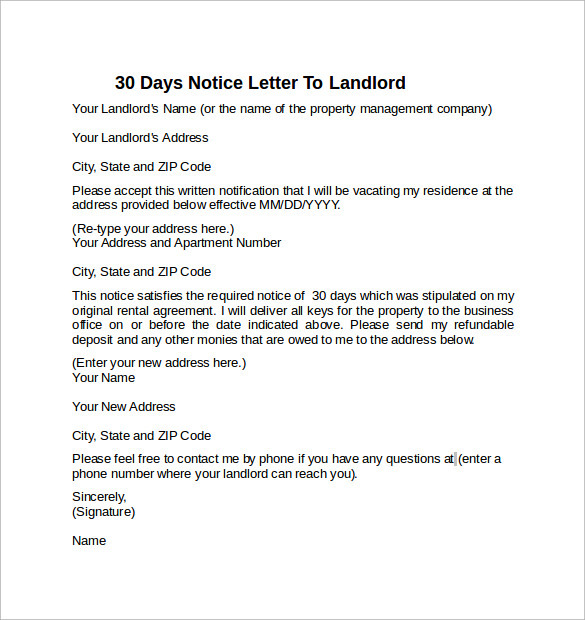 Date of the letter and address of the landlord should come at the left hand corner while your name with address should be written beneath the right hand margin above the body of the letter. 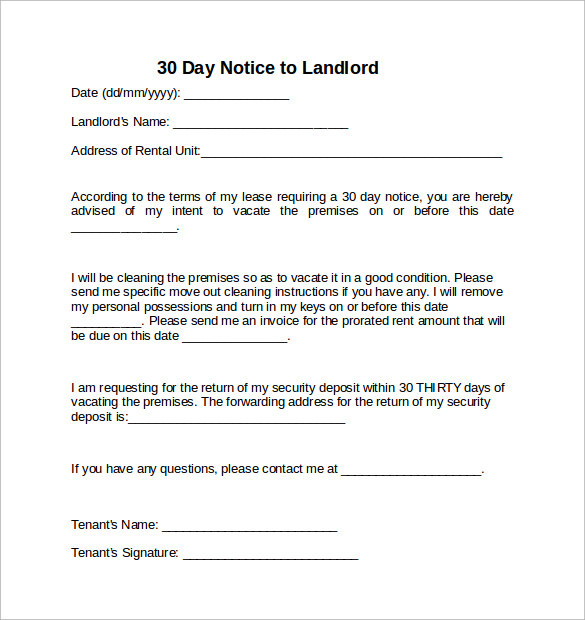 In the body mention the address of your new destination also. 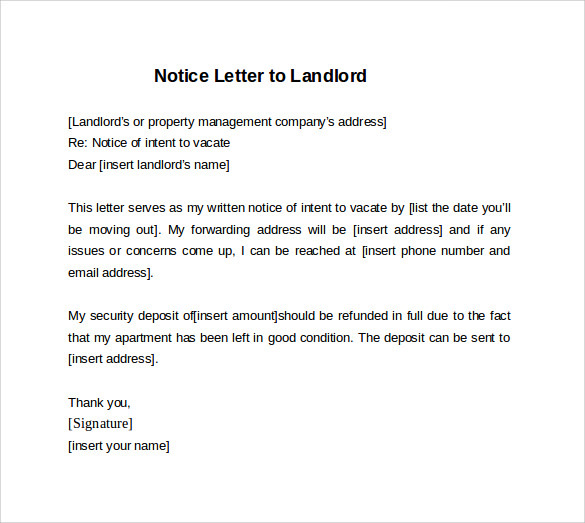 At last end the letter with good closing line or phrase followed by your complete signature.